There’s no doubt that recruiting technology has drastically changed every aspect of a hiring manager’s job. From the way professionals find talent, to the way they move candidates through the interview process, the field continually develops as technology shifts. In years past, hiring was a cumbersome process. You received resumes and cover letters by mail and had to store these documents in filing cabinets, hoping you didn’t lose any along the way. Today, applicant tracking systems (ATS) make it much easier to manage and sort the documents you receive. However, there are certainly pros and cons to utilizing this type of system. The pros: No more lost resumes, and you won’t drown in piles of loose papers anymore. This technology makes hiring a much more organized system. It also moves things along at a more rapid pace, which benefits both the company and the job seeker. The cons: Those in search of new top talent might question whether software truly has the ability to read a resume the way a human does. Especially when it comes to the resume parsing within an ATS, how can the technology tell if a person’s professional experience translates into their ability to blend in well with an existing team? How does it know to place the proper value on certain experiences or traits? These are valid concerns that a hiring manager must consider. For many people, social media is a prevalent part of daily life. You scroll Instagram on a lunch break or fire off a funny tweet without even thinking about it. Though it may be great for pictures of your kids or your pets, social media actually provides professional value too. Those seeking out new career opportunities can use social media to really show their personality and professional prowess in a unique way to potential employers. They can join forums to boost their network or use it to find relevant articles about their industry that they may not have discovered otherwise. The pros: For recruiters, social media has a lot of upside. It makes it much easier to discover and get in contact with potential new hires. You can get a sense of what this individual is all about before you bring them in for an interview. If they’re posting offensive tweets or pictures of themselves stumbling home every weekend, you will likely reconsider extending them an offer to come in for a face-to-face conversation. The cons: Some recruiters and hiring managers have begun to rely on social media as a crutch. Because Twitter and LinkedIn exist, they feel that they don’t have to head to networking events and develop real-life relationships. Remember that social media is a valuable tool, but it should complement your in-person relationship building skills, not replace them. Also, bear in mind that not all talented professionals utilize social media to the same extent. While it’s certainly an important way to seek out candidates, you shouldn’t discount qualified professionals who prioritize certain social media mediums over others or value their home-life privacy. Beyond assisting with branding, your business’s website can aid in the recruiting and hiring process. When you have an open role available, post details about the position on your website, and be sure to create a portal where interested individuals can apply for the job. The pros: Those who are visiting your company’s website might already have an interest in the brand. While you have a captive audience, put the website to work for you through engaging employee videos that capture the culture or brief introduction videos to give job seekers a personal look at the team. The cons: Relying on the company website as your sole recruiting tool is a risky move, as you have to trust that a job-seeker will visit the site to find out about job postings. While many will, some people will only check career boards like Monster.com or Simply Hired. Besides that, this strategy doesn’t account for passive job seekers. Be sure to keep the company site updated with relevant job openings, but also tackle other means to spread the word and employment brand. No matter what industry you’re in, now more than ever, you’re probably fairly attached to your phone. Accidentally leave home without it one morning and you’ll feel lost all day. Those seeking out new career opportunities are spending a lot of time on their phones too, so making your business’s job postings available via mobile device is important. Beyond assisting with #branding, your website aids in the #recruiting and hiring process. Your company’s website should be optimized for smartphones and tablets, and it should be easy to apply for a job on these devices. If you’re trusting that the person will see the job and then remember to apply when they get home to their laptop or desktop, you run the risk of losing qualified candidates simply because they forgot about the opportunity. The pros: Mobile recruiting makes it possible for candidates to apply to a position from anywhere at any time. Long wait at the doctor’s office? Apply for a job. Bored on the train ride home? Submit your resume. This type of recruiting also makes a job appealing for a passive candidate. They may have the time to fill out a paper application or won’t remember to visit the link when they get back to their laptop, but can sit and apply on their phone during a lunch break. The cons: The mobile process needs to be highly turn-key or you’ll lose potential applicants. While smartphones make life a lot easier by making information readily available, some capabilities are more limited than when you have a laptop in front of you. Be aware of this as you’re setting up a mobile recruiting platform. If the platform is slow to load, would-be applicants will lose interest. Keep in mind, if you’re asking applicants to type paragraph upon paragraph on a tiny keyboard, don’t be surprised when the number of applications you get via this platform is few and far between. Make it easy for people to turn in applications on any device. Back when computer capabilities were limited, if a candidate wanted to interview for a job that wasn’t in their home city, they were dependent on an impersonal phone-screening or they had to fly to that location in hopes of a job offer there was no guarantee of at such an early hiring stage. This was costly for the employer and time-consuming for the person applying. Now, video interviewing has completely changed that experience. An individual in Tokyo can apply for a job in Kansas and submit a video screening without worrying about time zones, airfare, or any other major scheduling concerns. The pros: Candidates can submit their answers at a time that’s convenient for them, without having to try to sync up drastically different schedules with a hiring manager. This also cuts expenses for the business doing the hiring, as they don’t have to fly a person in two or three times during the hiring process. The cons: There are some folks who believe this makes the hiring experience too impersonal. Keep in mind that some candidates prefer to gauge the atmosphere of the office right off the bat, instead of waiting for a second or third round interview to come in and get a feel for the culture and environment. So, consider showing applicants these elements through video clips and employee comments throughout the process. Is it easy for candidates to use this piece of recruiting technology? If the system works perfectly for the person conducting the interviews but is a nightmare for the one applying for the job, you’ll want to consider whether it’s worth implementing at all. Cumbersome, counter-intuitive technology can lower the number of applications you receive, as interested individuals don’t have the time or patience to fight the technology in order to submit their materials. Confusing platforms will also completely destroy any shot you have at getting passive candidates to apply. They weren’t desperate for a new job anyway, but if they see the process is frustrating, then they’ll definitely pass. Therefore, assess ease of use from both the hiring manager’s and the candidate’s point of view. Does it make the hiring process seem less human? Recruiting technology is highly useful when it comes to an expedited and organized hiring process. However, if you begin to rely on it too heavily, the process can begin to feel impersonal. If everything from start to finish is composed of automated messages and video interviews, potential new team members might begin to wonder if you actually have real people working at your business. To offset this, consider making personal contact at several points throughout the process. You might want to pick up the phone and call the candidates to invite them in for a second round interview, or perhaps send a personalized e-mail to explain that you’re inviting them to do a video interview. It seems small, but straying away from computer-generated content every so often adds warmth and personality, helping to illustrate what your brand is all about. Does this technology enable us to get a full picture of this individual? While recruiting technology makes life much easier for a hiring manager looking to add to their team, there are some things it simply can’t replace. Technology isn’t always totally adept at replicating human interactions. For example, when you bring someone in for an in-person interview, you’re able to gauge their body language and tone of voice in a much more powerful way than when they’re talking to you over Skype or a pre-recorded video interview. Without a face-to-face conversation, you also miss the ability to see how they engage with other people they might casually meet in the office. Do they warmly greet a receptionist or other employees to whom they’re introduced? Do they seem anxious to get out of there or behave like they’re comfortable in their surroundings? While #tech makes life much easier for a hiring, it simply can’t replace some things. These small clues can often be telltale signs about how this individual would fit in should they receive a job offer from your business. Because of this, you shouldn’t rely only on recruiting technology when you’re looking to expand your team. While you want to consider a candidate’s experience when you’re deciding whether to implement a piece of technology into your hiring process, you should also consider the recruiter or hiring manager who will need to use the system as well. If the tool requires extensive training, when will this happen? If you have a busy season coming up, you need to build in time well in advance so that everyone is totally comfortable with the platform well before they’re buried in resumes and cover letters. Trying to fill open roles while struggling to remember how the new system works is a recipe for disaster. Before you implement any new tools, find out how user-friendly they are and how much time you should build in to get everyone on the team trained in the program. What does this say about our company values or culture? It may not seem like the way in which your business hires directly reflects what your brand stands for, but in reality, it speaks volumes. If your company is still soliciting paper resumes via snail mail, potential candidates might wonder if your brand is stuck in the ‘90s. In fact, you may lose out on great talent as these professionals seek employment opportunities with more forward-thinking brands. On the flip side, if you take all human contact out of the hiring process, a potential new hire might be left wondering whether your company really values teamwork and camaraderie. If you don’t see the need for interpersonal connections as you’re deciding whether someone is a good fit for an open role within your office, who’s to say that you feel the need to communicate with the people you work with on any other day? You may be a business that relies heavily on e-mail, even with people sitting just a few doors down from you. 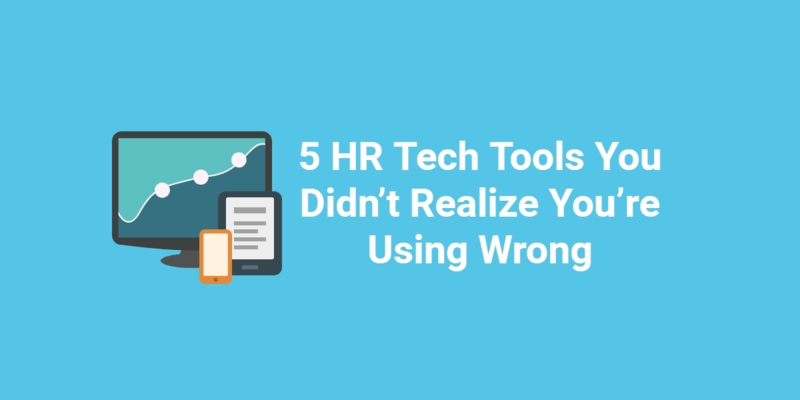 This can result in miscommunication and a feeling of disconnect from employees. This is why the proper blend of recruiting technology and human-to-human interaction is so important when you’re hiring. Recruiting technology can make the hiring process both easier and faster for hiring managers and job-seekers alike, however it’s important to carefully consider the tools being implemented. The right choices make adding a team member turnkey and well-organized, but don’t take away the personal connection that’s essential to the process. 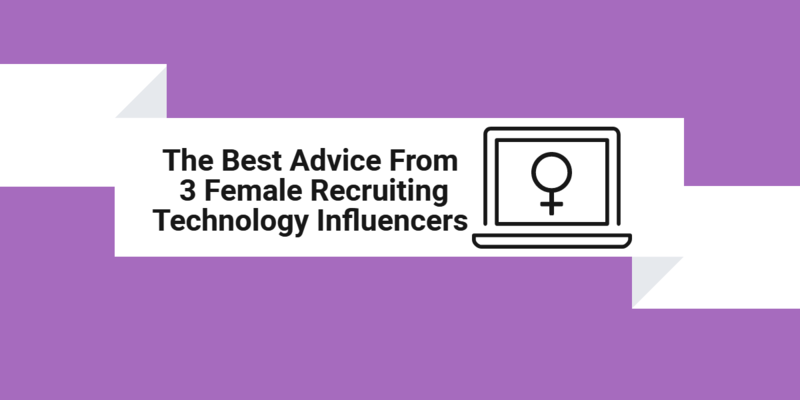 It’s also important to remember that recruiting technology should serve as a complement and not a total replacement to the human interaction traditionally found in hiring. How are you using recruiting technology to enhance your hiring process? Let us know in the comments!